You’ve been through the interview process and you rocked it. Now what? Don’t be fooled – the real work starts now. 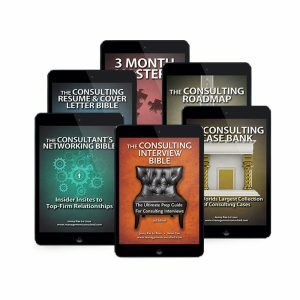 In 3 Month Mastery, we offer action steps and insider secrets to master your new role as a consultant—with a key focus on the first 3 months, the critical proving period that will dictate the likely path for the rest of your career as a consultant. Most new hires plan to kick it into gear after their initial 12 weeks of training and onboarding. In fact, it’s possible to lay the groundwork for the rest of your career pre-arrival—and more importantly, every outstanding employee does just that. If you want to develop a top performer mentality now to ensure success in your career, this book is a must-read. In 3 Month Mastery, we show you how to stand out among your peers so that, as your career unfolds, you have every possible door open to you—both at your current firm and beyond. Is it okay to call and talk to my future supervisor before my start date? What should I think about as [a woman] [a man] [a minority] going into a top field like consulting? 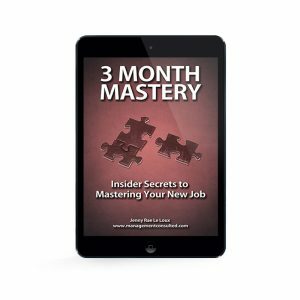 3 Month Mastery is filled with funny stories, insightful tips, and extensive practice to give you a head start in any competitive career. 3 Month Mastery reveals the secrets to mastering your early career — so you can lay the foundation for a successful future as a business leader. I am reading MC regularly, I had especially enjoyed "First 90 days..." ebook. It helped me to shoot the stars out in my previous job. Thanks!" As an incoming BCGer, I would just like to say 3 Month Mastery was a great help. The Consulting Jet Pack was a tremendous help with key information I was looking for regarding direction. "Simply great, I wish I had this book [3 Months Mastery] when I started my management consulting career. All the tips and guidance is so relevant. Unaware of the requirements, I had to learn the lessons the hard way. In management consulting sometimes first impressions count a lot. Highly recommended for FFYs." Just got through the entire document. What a great resource for new consultants. I really liked the practical advice and links you provided. For years, we’ve offered aspiring consultants world-class resume and cover letter editing and interview prep services—plus comprehensive products such as our Consulting Roadmap, Consulting Interview Bible, Case Bank, Networking Toolkit, and Consulting Resume and Cover Letter Bible. We solved a problem (lack of good resources and assistance), but created another one—we have now built an unprecedented community of future consultants, completely unarmed for the task before them. From 0 to 3 months in any job, you’re in training mode. You won’t be making a huge impact on the bottom line, rope in new clients or even significantly contribute to projects, but this beginning period is the most important phase of your career because of the opportunities you can create for yourself—and the dramatic failures you must avoid to prevent yourself from having to spend years of rebuilding your reputation. This isn’t when you’re most valuable to the company—quite the opposite, actually. It is, however, the period when you have the most impact on your own career. After completing a storybook interview process as the top Bain recruit on the east coast who received an offer before the end of the final round interview, Jenny Rae was just average in her first few months on the job. She missed out on a huge opportunity to leverage interview momentum at the start and had to work hard to build her reputation. If you want to get ahead, 3 Month Mastery is for you. Understanding the rules of engagement for interacting with your peers, your supervisor, senior partners, support staff, etc.